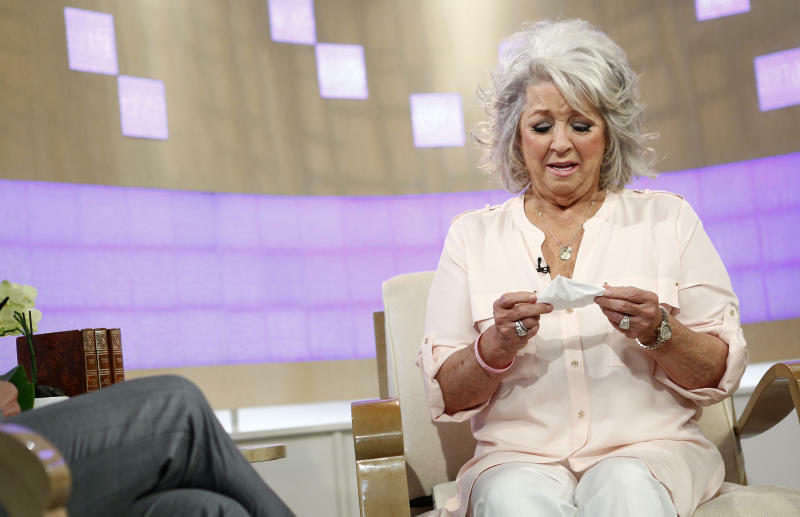 NEW YORK (AP) — Paula Deen was dropped by Wal-Mart and her name was stripped from four buffet restaurants on Wednesday, hours after she went on television and tearfully defended herself amid the mounting fallout over her admission of using a racial slur. Wal-Mart Stores Inc. said Wednesday that it ended its relationship with Deen and will not place "any new orders beyond what's already committed." Associated Press writer Russ Bynum in Athens, Ga.; Religion Writer Rachel Zoll in New York; Retail Writer Anne D'Innocenzio and Writer Tammy Webber in Chicago contributed to this report.